It’s been rumored for months, and now the challenge was finally put out on Raw — as D-Generation X challenged The Brothers of Destruction to a match at Crown Jewel. 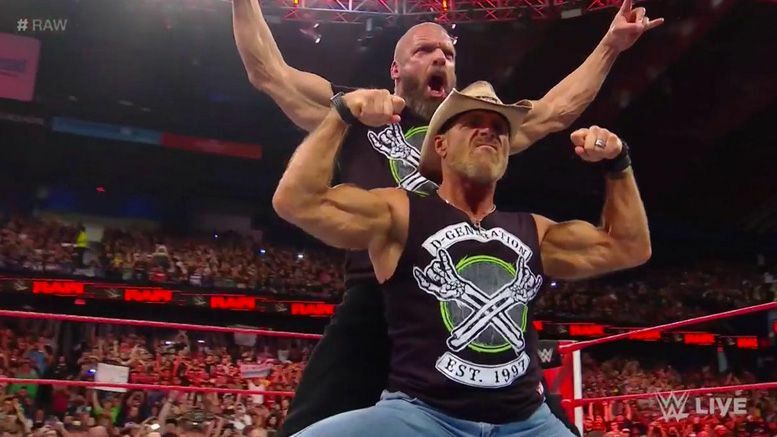 Raw kicked off with Triple H and Shawn Michaels reacting to the attack they suffered at the hands of Undertaker and Kane following the main event of WWE Super Show-Down. For those who missed it, Triple H defeated Taker at SSD before getting beat down alongside HBK. Watch how it all unfolded below. The promo was pretty damn good.